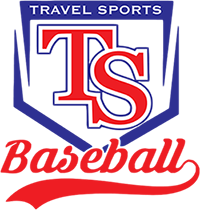 March 30-31 San Marcos, TX NCFD Farm Club Travel Sports Baseball 10U-14U REGISTER NOW! April 12-14 Charleston, SC Shipyard Park Top Gun Sports 10U-14U REGISTER NOW! 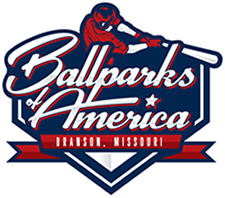 April 12-14 Branson, MO Ballparks of America Ballparks of America 10U-13U REGISTER NOW! April 13-14 Orange County, CA Various Locations Xtreme Diamond Sports 10U-12U REGISTER NOW! April 13-14 Fremont, CA Fremont Sports Complex All World Sports 11U-13U REGISTER NOW! April 18-20 Las Vegas, NV Various Locations Xtreme Diamond Sports 10U-14U REGISTER NOW! April 26-28 Yaphank, NY Baseball Heaven Steel Sports 13U-14U REGISTER NOW! April 27-28 Grapevine, TX Oak Grove Park Travel Sports Baseball 10U-14U REGISTER NOW! April 27-28 Reno, NV Golden Eagle Regional Park All World Sports 10U-14U REGISTER NOW! May 4-5 Myrtle Beach, SC Grand Park Athletic Complex Top Gun Sports 10U-14U REGISTER NOW! May 4-5 Hartford, CT Super East Complex Super East Tournaments 10U-12U REGISTER NOW! May 18-19 Raleigh, NC Various Locations Top Gun Sports 10U-14U REGISTER NOW! June 7-9 Hartford, CT Super East Complex Super East Tournaments 13U-14U REGISTER NOW! June 7-9 Yaphank, NY Baseball Heaven Steel Sports 10U REGISTER NOW! June 21-23 Yaphank, NY Baseball Heaven Steel Sports 11U-12U REGISTER NOW! The National Youth Baseball Championships proudly supports Major League Baseball and USA Baseball's Pitch Smart initiative. More information can be found by clicking the Pitch Smart logo or downloading the NYBC rules. The NYBC is fully compliant with Pitch Smart in order to protect young arms and keep the game as safe as possible.